The teaching of Engineering in Portugal had its origins in the early Nautical School (Aula Náutica), by decree of 30 July 1765. The city of Porto was an important shipping and trade centre, and the mercantile spirit of its inhabitants was early developed. However, those were very troubled times: trade was being adversely affected by pirates hiding along the shores of North Africa who plundered ships carrying goods. To solve this problem, Porto businessmen (Homens de Negócio da Praça do Porto) asked the King's permission to build, at their own expense, two frigates of 24 and 30 guns to protect the fleets sailing from the city to the ports in America. Shipbuilding required men capable of commanding and maneuvering the vessels, and thus the Nautical School was founded in Porto. The Nautical School was later replaced by the Polytechnic Academy, created in Porto by decree of 13 January 1837. It was tasked with the training of engineers, naval officers, pilots, traders, farmers, factory managers and artists. By decree of 21 July 1885, programmes in Civil, Mining and Industrial Engineering were established, as well as the higher education programme in Commerce, all of them with the duration of six years: four of preliminary studies and two of specialization. This Academy also prepared students for the Army, Naval, Medical and Pharmacy Schools. After the establishment of the Republic, the first government carried out a reform of higher education, reforming the University of Coimbra and creating two new Universities with pedagogic and administrative autonomy in Lisbon and Porto. This reform changed the Polytechnic Academy, where Engineering was first taught in Portugal, into the Faculty of Sciences, which included the School of Engineering. This situation led to protests of professors, voiced by the city representatives, which led to the publication of Law no. 410 of 1915, turning the School of Engineering into an autonomous Technical Faculty. This same law determined the organization of the programmes into Mining, Civil, Mechanical, Electrical and Chemical-Industrial Engineering. The organization of the study programmes was reviewed by legislation published on 30 November 1918 and on 29 January 1921. In 1926 the Faculty of Engineering of the University of Porto (Faculdade de Engenharia da Universidade do Porto – FEUP) received its name. Decree no. 18739, of 26 July 1930, determined the organization of the programmes taught under the Faculty of Engineering of the University of Porto. Celebrating the 100th anniversary of the Polytechnic Academy, the building at Rua dos Bragas was inaugurated in 1937. Decree no. 40378, of 14 November 1955, determined the organization and curricula of the Engineering programmes taught in Portuguese Universities (Mining, Civil, Mechanical, Electrical and Chemical-Industrial Engineering). This decree established a single, mandatory plan of studies for Engineering programmes taught in the Faculty of Sciences and in the Higher Technical Institute for the first three years, and in the Higher Technical Institute and UP's Faculty of Engineering for the remaining three years. The education reform of 1970 introduced important changes to the organization of Engineering programmes, which were shortened to five years. By this time, schools were also given the autonomy to design their own curricula. In 1974, the Faculty of Engineering took over the teaching of the five years of its undergraduate programmes, the first two years no longer being tasked to the Faculty of Sciences. Meanwhile, in 1970, the undergraduate programme in Metallurgical Engineering was created, having been later named Metallurgical and Materials Engineering. More recently, the undergraduate programmes in Management and Industrial Engineering (1990) and in Informatics and Computing Engineering (1994) were created. Nowadays, FEUP offers ten undergraduate programmes in the field of Engineering. In 1988, the publication of the law on University Autonomy allowed the Faculty of Engineering to vote on its first Statutes, which sanctioned its administrative, financial and pedagogic autonomy. Postgraduate education is also an area in which FEUP has invested substantially since the creation of its first Master in 1981. From then on, other Master programmes were developed, as well as Doctoral Programmes and a wide offer of Continuing Education study programmes. The former FEUP facilities, with a net area of about 30,000 m2, were limited, given the number of students and teaching and non-teaching staff working there. 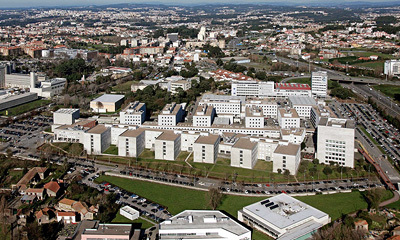 Since 2000, FEUP has new facilities located in University of Porto Pole II – Asprela Campus. With almost three times the previous area, with incomparably superior conditions and quality, FEUP has a confident outlook into the future.